The classic old outhouse to enhance any scene. Wood construction and tar paper roof. Check out the roof detail and trash barrel. All resin castings. Figure not included. 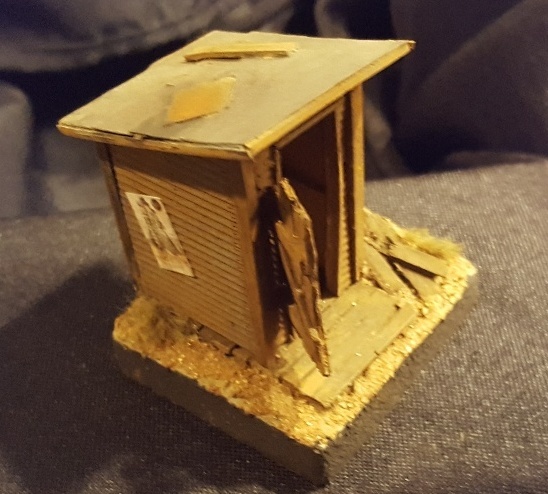 The classic old outhouse to enhance any scene. Shingle construction and shingle roof. Check out the trash on the side. All resin castings. This outhouse has an interior (of course we all know what the inside looks like in an outhouse). This guy can make a nice stand alone model or enhance any scene. Requires some minor assembly. All resin castings.